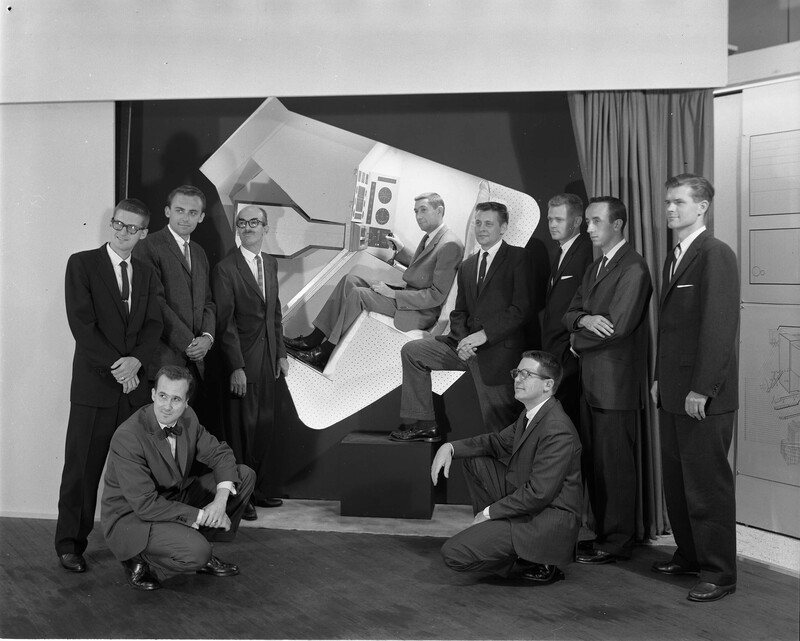 Art Center’s very first sponsored project in 1960 was not to design an automobile or even an industrial design product, but rather a space capsule. 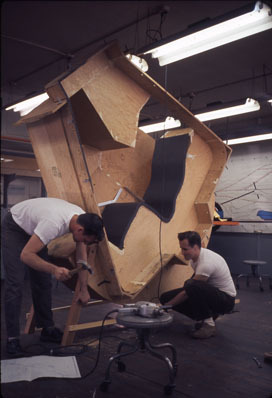 George Beck, manager of industrial design at General Electric’s Light Military Electronics Department, approached Art Center with the idea for students to design a space capsule and interior computer, providing for the most efficient relation between the computer and the pilot. Below are some photos from the project. 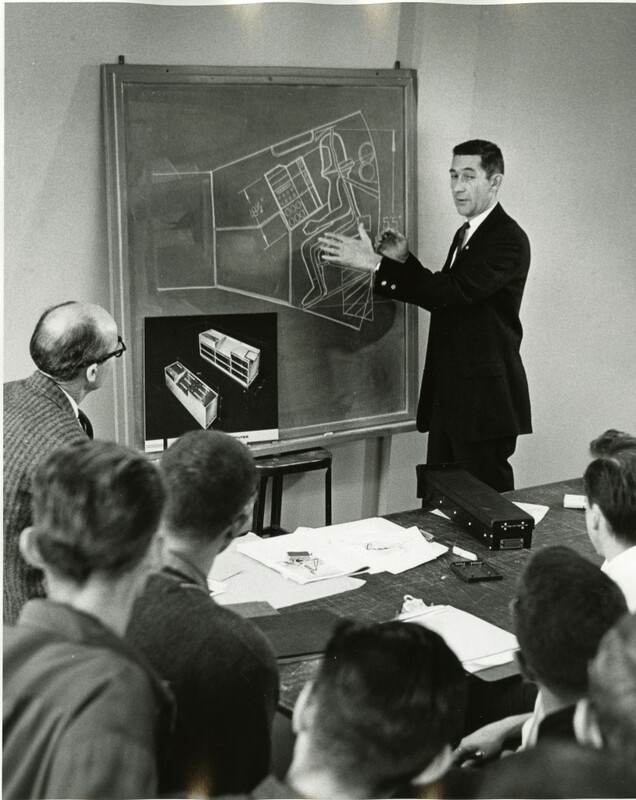 George Beck, of General Electric, giving GE Space Capsule Project assignment to students, 1960. (2004.22.2200.W). Photography by Geoffrey Fulton. Art Center College of Design. General Electric Space Capsule project, 1960 (2004.22.211). Photography by Geoffrey Fulton. Art Center College of Design. 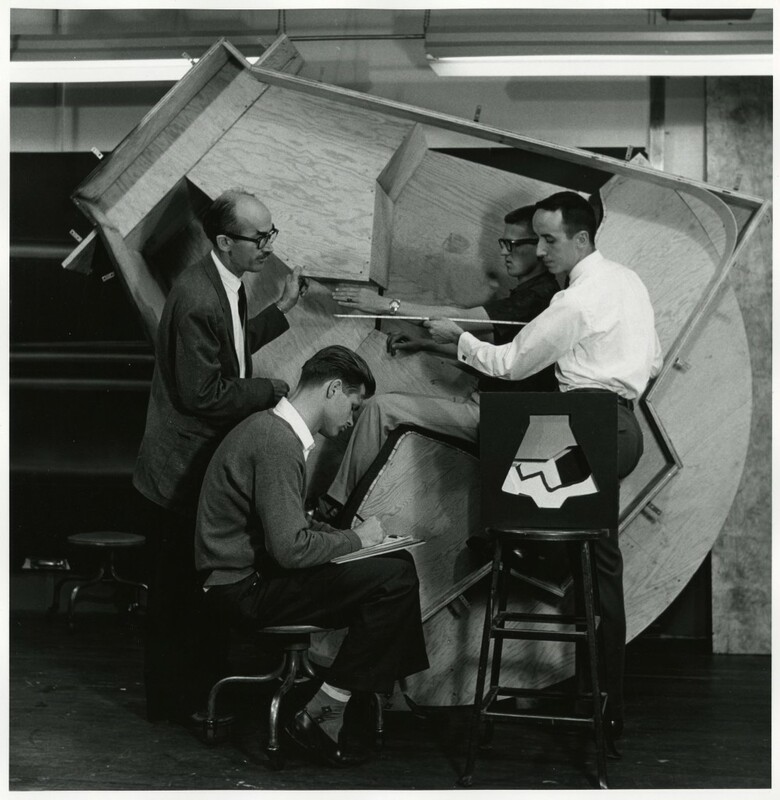 Instructor John Coleman advising students as they work on the wooden framework for the General Electric Space Capsule Project, 1960. (2004.22.2202.E). Photography by Geoffrey Fulton. Art Center College of Design. General Electric Space Capsule project, 1960. George Beck sitting in the capsule. (2004.22.2215.V). Photography by Geoffrey Fulton. Art Center College of Design. By Robert Dirig in Uncategorized on April 28, 2014 .